Potentially one of the most significant finds in modern time. 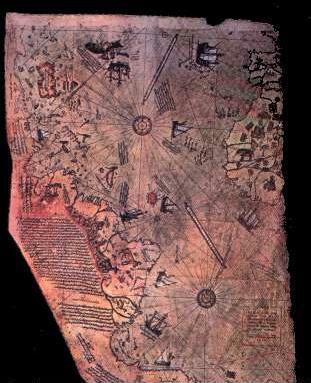 The Piri-reis map (right) shows both the American coastline and demonstrates the early use of longitude and latitude. The key to the map states that sections of it originate from the time of Alexander the Great, a statement which clearly suggests that such knowledge was available at that time. Navigation from one location to another relies on a means of calculating direction. The following methods are some of the better known methods. Both the sun and the moon can be used to determine direction. Polaris is a good indicator of north. Polaris can be used to determine latitude. Observation of eclipses can determine longitude. The Phoenicians looked to the heavens. The sun moving across the commonly cloudless Mediterranean sky gave them their direction and quarter. The quarters we know today as east and west the Phoenicians knew as Asu (sunrise) and Ereb (sunset), labels that live today in the names Asia and Europe. 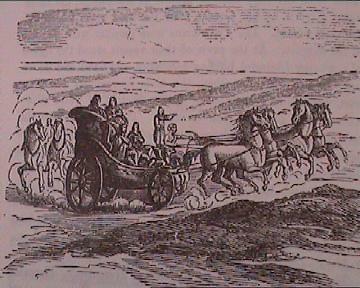 Ley-lines: In his book, The long Straight Track, Alfred Watkins proposed that ley-lines were used by prehistoric people as to travel along for trade amongst other uses. Stones and other significant monuments were placed along their length. Peruvian straight-lines have the same function, as do the Aboriginal Tuaringas in Australia. Magnetism: Certain animals such as pigeons are known to use the earths magnetic field for navigation, the extraordinary navigational skills of birds have been recorded for millennia, and could well have been applied as a navigational aid. 1,000 B.C. 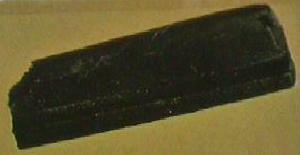 - It has been established that this object (34 x 9 x 4mm), was part of a larger bar. It has been polished on each face, and has a groove running 'approximately and possibly intentionally parallel to the edges' along one of the flattened-faces. If its function was to serve as a directional finder (as is commonly supposed), the longer its original length, the more accurate the reading would have been. Under experiment, it repeatedly provided a consistent bearing (to within 1/2°), using a 'stadia-rod' at 30m. This naturally magnetic square metal fragment (M-160) points 35.5° West of magnetic North (when made to float). 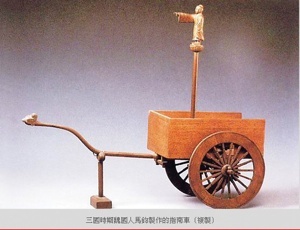 It was found in an Olmec mound in Vera Cruz, Mexico. 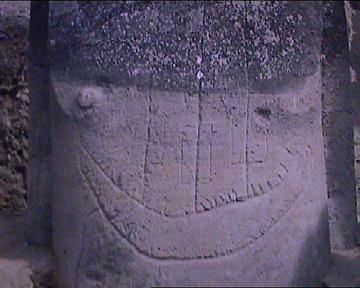 Several examples of naturally magnetised statues have been found at other south American sites, noticeably in Guatemala where carvings of figurines and animals were designed with the magnetised sections in the navels and temples of the figures. How such magnetic properties were first identified in the stone remains a mystery. The similarity between the two objects described suggests that they are both one and the same.. which description is correct is a matter of conjecture. The first seafarers kept in sight of land; following the coast. One could line up landmarks, such as a rock against a distant point on land; doing that in two directions at once gave a more or less precise geometric location on the surface of the sea. Sounding using a lead and line also helped. "When you get 11 fathoms and ooze on the lead, you are a day's journey out from Alexandria," wrote Herodotus in the fourth century B.C. The Greeks even learned to navigate from one island to the next in their archipelago, a Greek word meaning "preëminent sea". They may have followed clouds (which form over land) or odours (which can carry far out to sea). The map has pre-Columbian provenance. The map shows the coastline of America. The map shows accurate use of Longitude and Latitude. The map-builders used 'Spherical geometry'. The centre of the map is at the junction of the 23.5˚ parallel and the longitude of Alexandria. The cartographers of the Piri-reis map used a system called the 12-wind system, which was used extensively in the middle ages and has its roots in the Babylonian sciences. Heeding the flight-paths of birds was just one of numerous haven-finding methods employed by the Polynesians, whose navigational feats arguably have never been surpassed. The Polynesians travelled over thousands of miles of trackless ocean to people remote islands throughout the southern Pacific. Like Eskimos study the snow, the Polynesians watched the waves, whose direction and type relinquished useful navigational secrets. They followed the faint gleam cast on the horizon by tiny islets still out of sight below the rim of the world. Seafarers of the Marshall Islands built elaborate maps out of palm twigs and cowrie shells. These ingenious charts, which exist today only in museums, denoted everything from the position of islands to the prevailing direction of the swell. This massive statue from Easter island was buried up to the chest. When uncovered it revealed this image of a sailed ship. The ancient Polynesians navigated their canoes by the stars and other signs that came from the ocean and sky. Navigation was a precise science, a learned art that was passed on verbally from one navigator to another for countless generations. In 1768, as he sailed from Tahiti, Captain Cook had an additional passenger on board his ship, a Tahitian navigator named Tupaia. Tupaia guided Cook 300 miles south to Rurutu, a small Polynesian island, proving he could navigate from his homeland to a distant island. Cook was amazed to find that Tupaia could always point in the exact direction in which Tahiti lay, without the use of the ship's charts. Sadly, Cook was never able to learn and document Tupaia's navigational techniques, for Tupaia, and many of Cook's crew, died of malaria in the Dutch East Indies. Unlike later visitors to the South Pacific, Cook understood that Polynesian navigators could guide canoes across the Pacific over great distances. But these navigational skills, along with the double canoe, disappeared with the emergence of Western technology, which mariners the world over came to rely on. In 1976, the Hokule'a', a replica Polynesian double canoe made by a team of Hawaiian canoeists, voyaged from Hawaii to Tahiti using the ancient navigational techniques of their ancestors. Ben Finney, a member of the team, explains their mission: "Since by the 1960s Polynesian voyaging canoes had disappeared and ways of navigating without instruments had largely been forgotten, those of us who objected to Heyerdahl's ...negative characterizations of Polynesian voyaging technology and skills ...concluded that we would have to reconstruct the canoes and ways of navigating, and then test them at sea, in order to get at the truth." Using no instruments, the canoe team navigated as their ancestors did, by the stars. They had no maps, no sextants, no compasses, and navigated by observing the ocean and sky, reading the stars and swells. The paths of stars and rhythms of the ocean guided them by night and the colour of sky and the sun, the shapes of clouds, and the direction from which the swells were coming, guided them by day. Several days away from an island, they were able to determine the exact day of land fall. Swells would tell them that there was land ahead, and the surest telltale sign would be the presence of birds making flights out to sea seeking food. By sailing from Hawaii to Tahiti, Hokule'a's team was able to prove that it was possible for Polynesian peoples to migrate over thousands of miles from island to island. 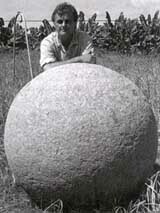 On Dreamland September 6, 2001, Ivar Zapp and George Erikson discuss a remarkable new theory of ancient navigation that is based on a group of mysterious stone spheres in Costa Rica. The alignment of these spheres implies the existence of a complex and world-girdling navigation system that must date from very ancient times. The spheres themselves have been described by archaeologists as "out of context," meaning that they do not fit established patterns of construction and architecture seen in the area. No attempt has ever been made to explain them or date them. The Norsemen had to have other navigational means at their disposal, for in summer the stars effectively do not appear for months on end in the high latitudes. One method they relied on was watching the behaviour of birds. A sailor wondering which way land lay could do worse than spying an auk flying past. If the beak of this seabird is full, sea dogs know, it's heading towards its rookery; if empty, it's heading out to sea to fill that beak. One of the first Norwegian sailors to hazard the voyage to Iceland was a man known as Raven-Floki for his habit of keeping ravens aboard his vessel. When he thought he was nearing land, Raven-Floki released the ravens, which he had deliberately starved. Often as not, they flew "as the crow flies" directly toward land, which Raven-Floki would reach simply by following their lead. 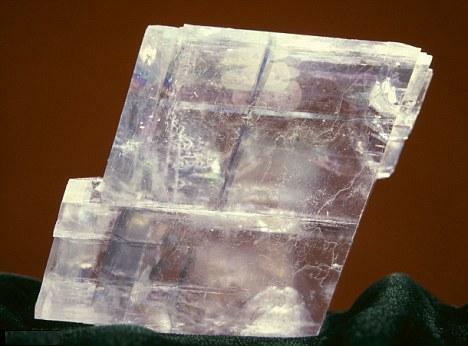 Article: Mail-Online (November, 2011) Norse Navigators may have located the sun with crystal Feldspar. 1). Ivan Van Sertima. Egypt: Child of Africa. 1995. Transaction Publ. 2). A. Service & J. Bradbery. Megaliths and their Mysteries. 1979. Macmillan. 3). D. Davis. Navigation in the ancient Eastern Mediterranean. 2001. Texas A&M University. 5). I Zapp, G Erikson. Atlantis in America: Navigators of the Ancient World. 1998. Adventures Unlimited Press.